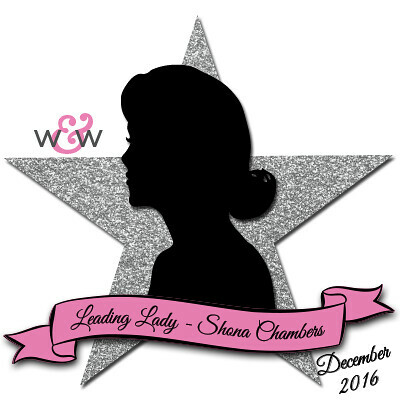 Our December Leading Lady, Shona Chambers, is back for her her fantastic fourth performance! If you missed her smashing debut you must see it CLICK HERE or her sensational second performance focusing upon beautiful backgrounds CLICK HERE or triumphant third performance full of stunning shimmer and shine CLICK HERE. Hailing from New Zealand, Shona is about to heat up your Christmas with her gorgeous cards today! Hello there everyone and thank you so much for stopping by for my fourth Leading Lady post!! The time-zone difference makes it a bit tricky as when this post is published its 2am December 25th for me (New Zealand is the first country to start each day) so Merry Christmas to everyone in my area of the world. To the rest of you, I'm sure your right in the middle of wrapping, cooking, cleaning and cooking again, so I really appreciate you visiting me today!! I'm still completely in Christmas mode for this post, with my theme this time being 'Heat Embossing'. I must say its one of my most favourite techniques and I'm still in awe while watching the embossing powder melt, its so magical! I definitely need more embossing powders and must make sure I get some glitter ones for next Christmas but in the meantime I hope you enjoy what I created! For this first card, I decided to take a leaf out of Jennifer McGuire's book and create the same card but in different colours, so I made this three more times with bright pink, mint green and light blue card stock. Was such a great idea and made them all at once. 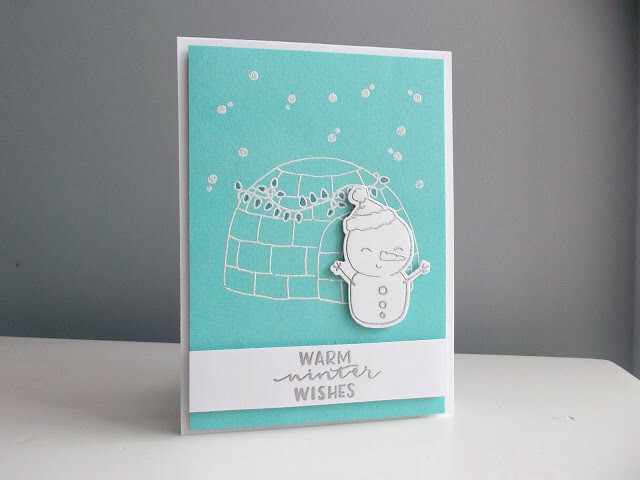 I started by cutting the panel of coloured card stock slightly smaller than my card base and heat embossing the igloo (from Season's Tweetings with Evelin T. Designs) and snow (from Framed with Evelin T. Designs) in white. It was then popped up on foam tape. To add a little sparkle I coloured the christmas lights using a blue glitter gel pen from Kaisercraft. I stamped and heat embossed the snowman and sentiment (also from Season's Tweetings) in silver on white card stock and used the matching die (from Season's Tweetings with Evelin T. Designs Cutaways) to cut out the snowman. He was put on foam tape, as well as the sentiment in a strip. Such a cutie!! For this second card, I decided some blending was called for. I cut a panel of white card stock slightly smaller than the card front and randomly heat embossed the pear (from In Bloom: Frenchy's Festive Florals with Angelica Suarez) in silver. I then used a mini-blending tool and Distress Ink 'Salty Ocean' to create this ombre effect before popping it up on foam tape. To finish off I die-cut the In a word: Wishes Cutaway from silver glitter card stock and twice more from white card stock. These were all glued together and then to the card. 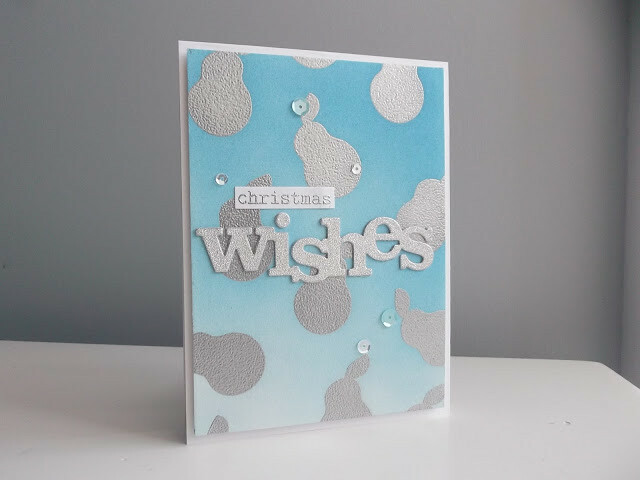 To finish off I heat embossed the 'christmas' (from The Big, the Bold and Greetings) and adhered to the card along with aqua and clear sequins from Pretty Pink Posh. For my third and final card, I thought I better break out of my 'blue and white' colour combo and go for something more bold! 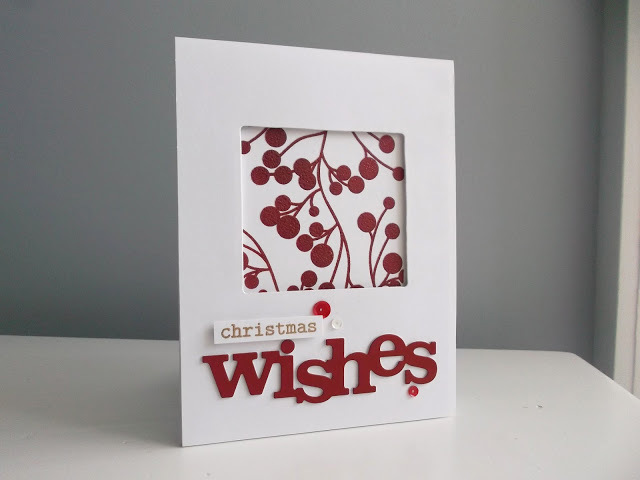 On a piece of white CS I used my MISTI and stamped the Mini Scenery: Merry Berry twice with red ink and then with Versamark Ink so I could then heat emboss with clear embossing powder. This was then adhered to the front of the card. I cut a panel of white CS the same size as the card base and used a square die from Framed with Evelin T. Designs Cutaways. The panel was then put on foam tape as a window. I used the In a word: Wishes Cutaway to die-cut a red paint chip and put it on foam tape. I then heat embossed the 'christmas' (from The Big, the Bold and Greetings) in gold and put on foam tape, as well as adhering some red and white sequins from Neat and Tangled. I really hope you enjoyed these cards and maybe found a few ideas you could try with your own designs. 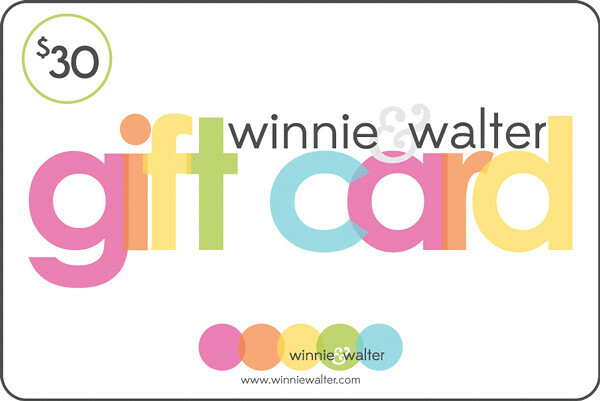 Don't forget to leave a comment on my Leading Lady blog post on my blog Twine Around for a chance to win a $30 gift voucher from Winnie and Walter!! Right, back to your Christmas preparations. I hope you all have a wonderful Christmas celebrations with your family and friends, that your day is filled with laughter, good food and hopefully good weather! I'll see you all here next weekend for my fifth and final Leading Lady post. Beautiful cards! I love the red and white Christmas Wishes card! Great idea to ink it up then stamp with Versamark and clear emboss! I have to try that! Gorgeous cards! That little snowman with the igloo decorated in lights is so adorable!!! And your other two cards are such classic beauties! Happy Holidays! Love the red and white berry card. My favorite! Merry Christmas and Happy Holidays! Cute variety of cards. My favorite is the snowman with the igloo. Lovely cards, and happy wishes to you on Christmas, Shona!!! LOve every single thing your creative heart touches - but you've done W&W proud once again! I thought one and two were gorgeous but number three is my favourite. A stunner! Love the look of solid images heat embossed. These are beautiful cards! Three sweet designs! Love the silver embossing! Such a lovely trio of embossed cuteness & elegance! FABULOUS cards, Shona! LOVE your style and designs. Oh my!!! Such adorable cards! Love them!!! Loved all your FAB projects, Shona! The Merry Berry card... just WOW, love that stamp! Your cards are always eye candy! All three of your cards are so beautiful but the red and white one is really impressive. I love the window cut out and the bold sentiment! Wow....wow....wow!!! I love all your cards, but I have to agree with my friend Karen that your red and white one is just spectacular!! LOVE the window framing the berry design. The bold contrast of the white and deep red is beyond fabulous!!! WOW!!! More wonderful cards, and all are amazing! My favorite is that last one with the stamped image in deep red, framed by the cut out. WOW! !